Edited by Maria Goretti Penido . This book provides an overview of special cases in hemodialysis patients. Authors have contributed their most interesting findings in dealing with patients suffering of other diseases simultaneously, such as diabetes, cardiovascular disease and other health problems. Each chapter has been thoroughly revised and updated so the readers are acquainted with the latest data and observations in these complex cases, where several aspects are to be considered. The book is comprehensive and not limited to a partial discussion of hemodialysis. To accomplish this we are pleased to have been able to summarize state of the art knowledge in each chapter of the book. This book provides practical and accessible information. 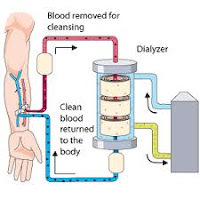 It is quite comprehensive as it covers various special circumstances in hemodialysis patients and their treatment. We wish to thank each author for taking considerable time and effort to ensure their chapter provides state of the art information. We hope that readers achieve the same level of acquisition of new knowledge as we have attained by editing this book.